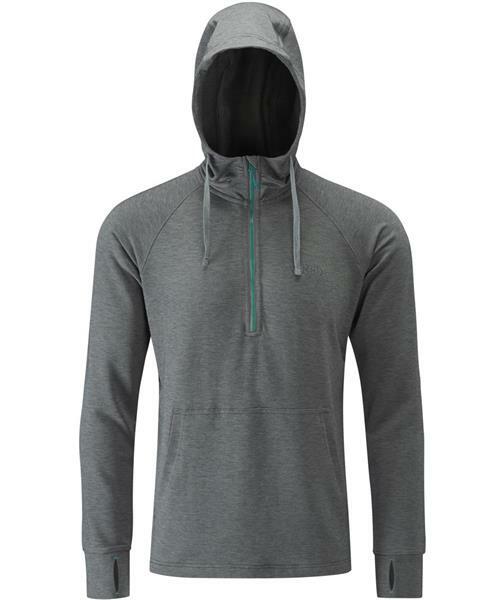 The Men's Top-Out Hoody is a mid-weight drirelease® hoody, a perfect summer layering piece for indoor training or outdoor climbing. The drirelease® stretch fabric with terry loop back is a moisture wicking and fast drying fabric with excellent odour control. A deep venting chest zip and a front Kangaroo patch pocket make this hoodie practical, comfortable and stylish, while deep cuffs with thumb-loops add a touch of extra warmth if you need it.